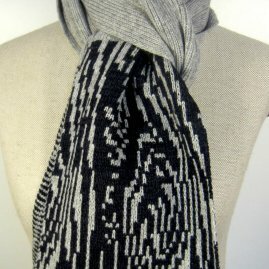 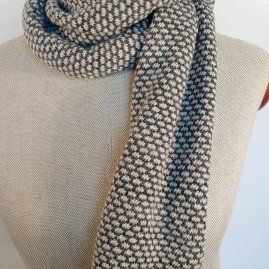 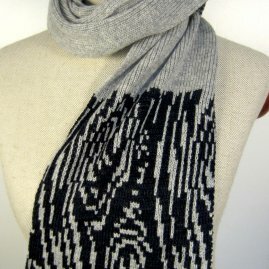 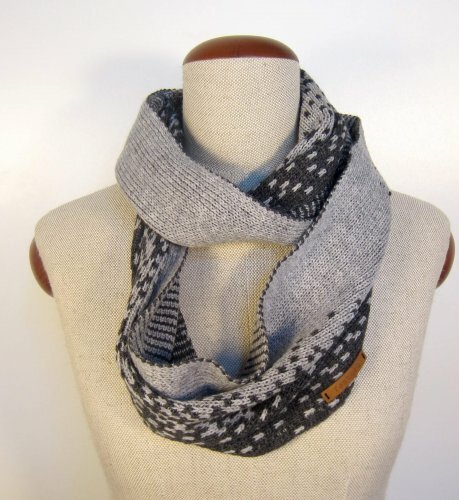 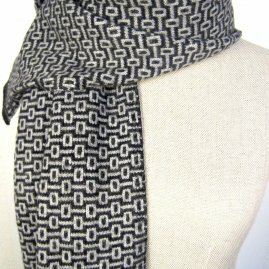 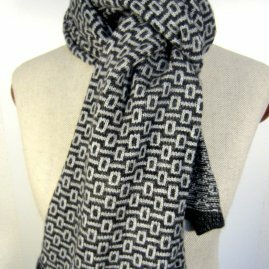 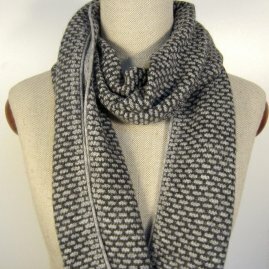 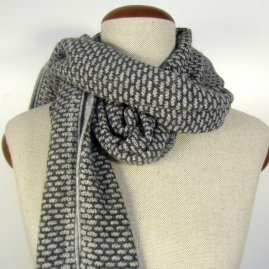 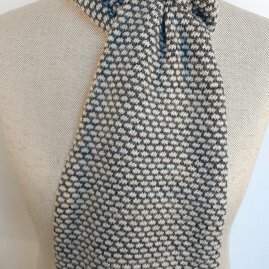 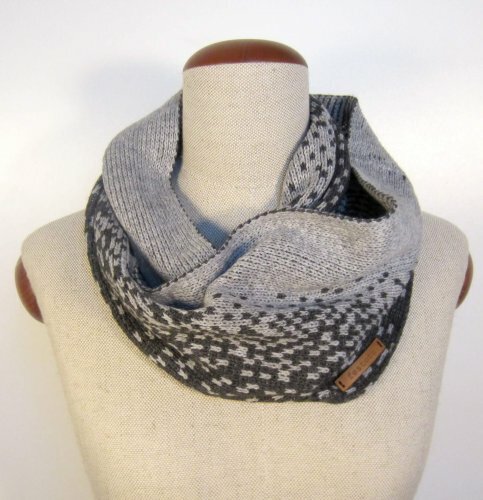 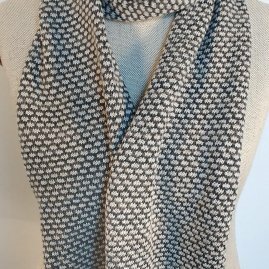 Pixel patterned infinity scarf. 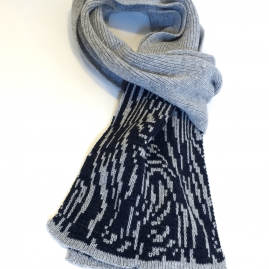 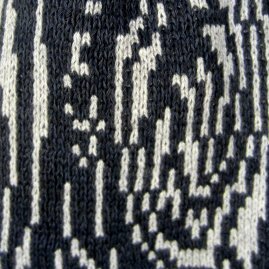 Handmade knitted in an ombré distributed pattern. 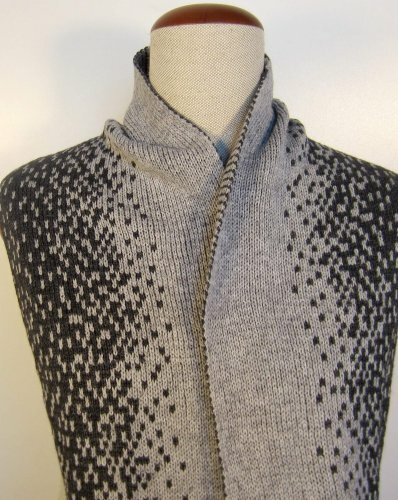 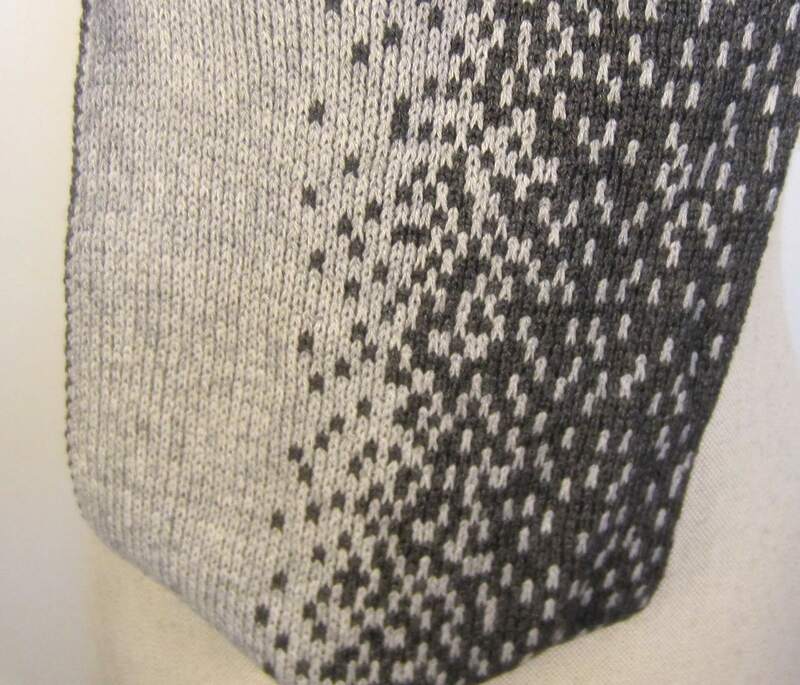 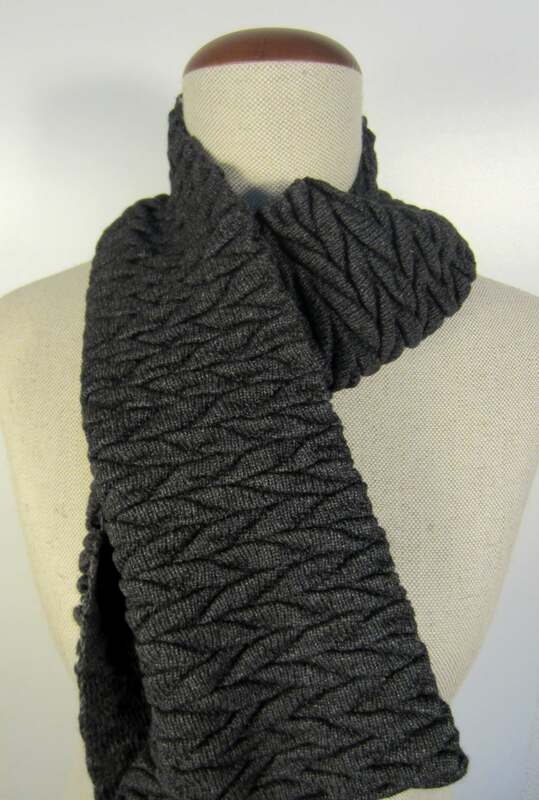 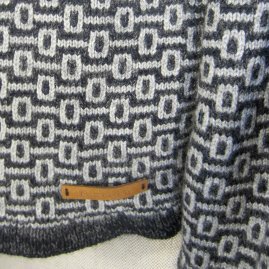 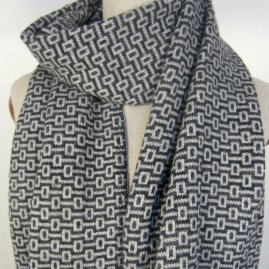 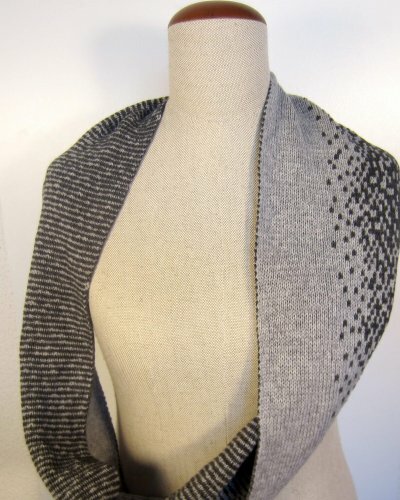 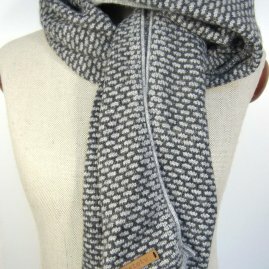 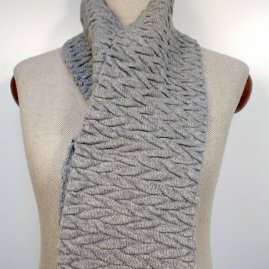 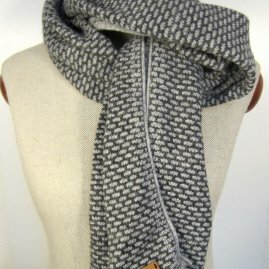 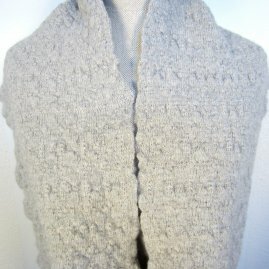 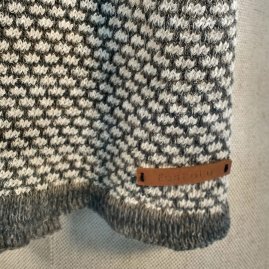 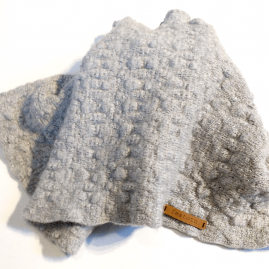 Made of a cashmere merino melange in charcoal and light grey. 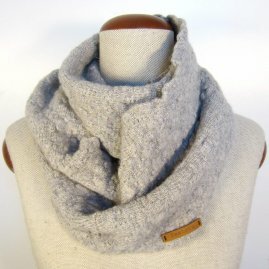 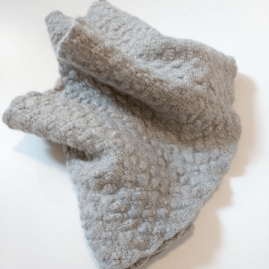 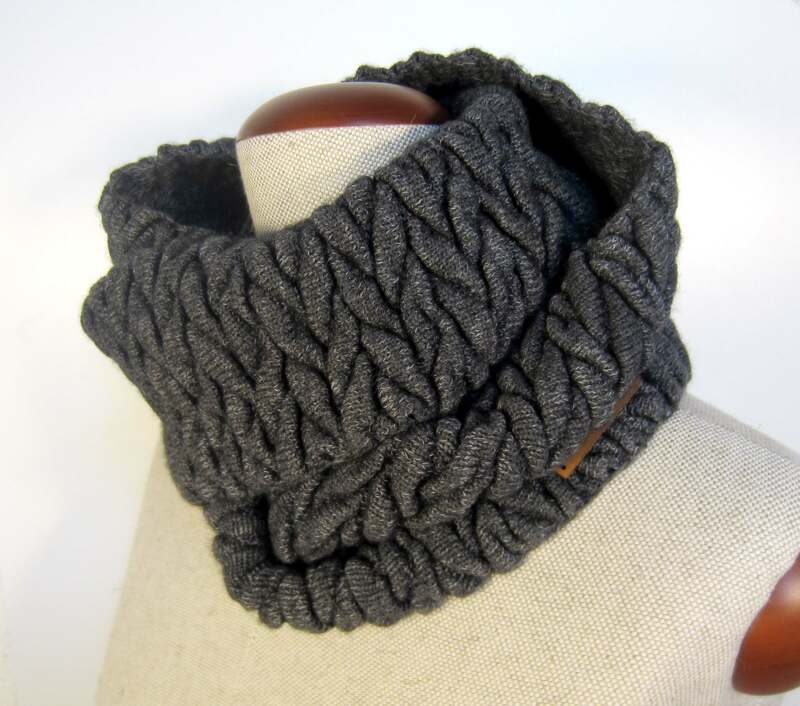 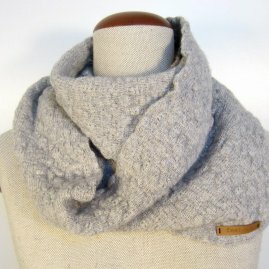 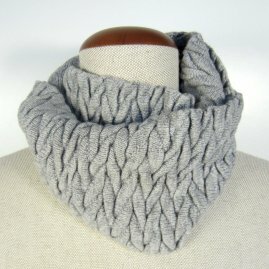 This cowl has been lightly felted making it really soft to the touch. 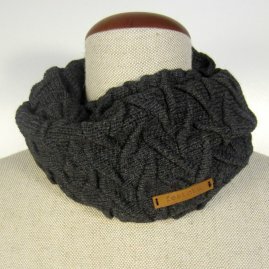 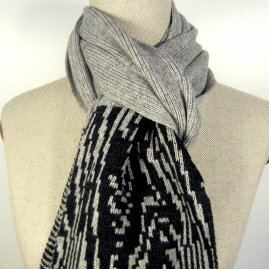 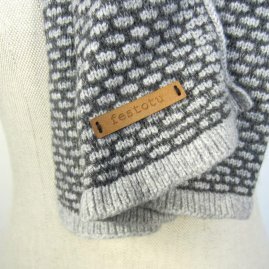 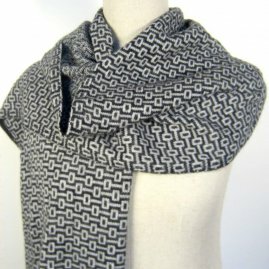 Because of its lovely material combination it can be worn year round.